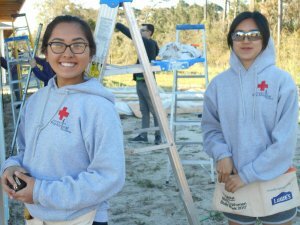 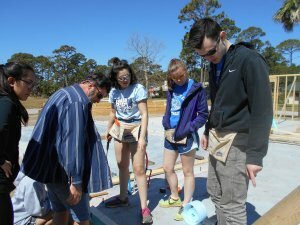 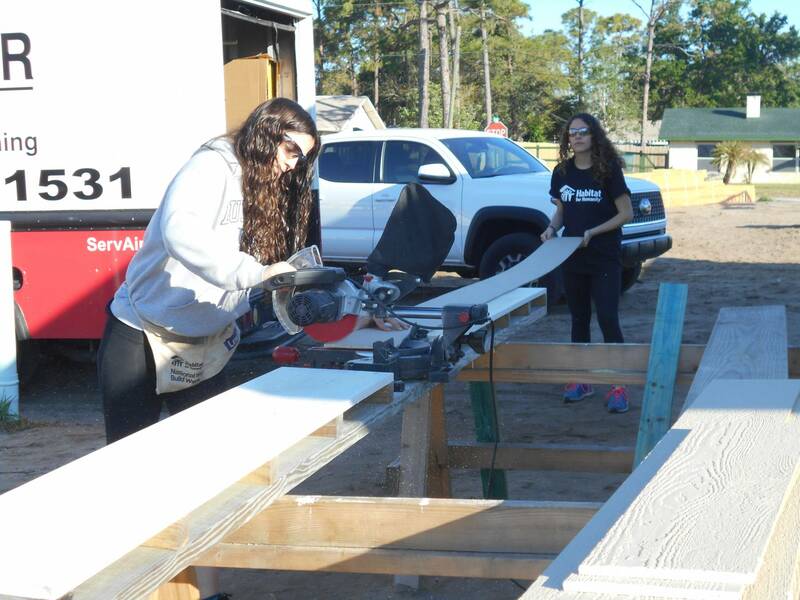 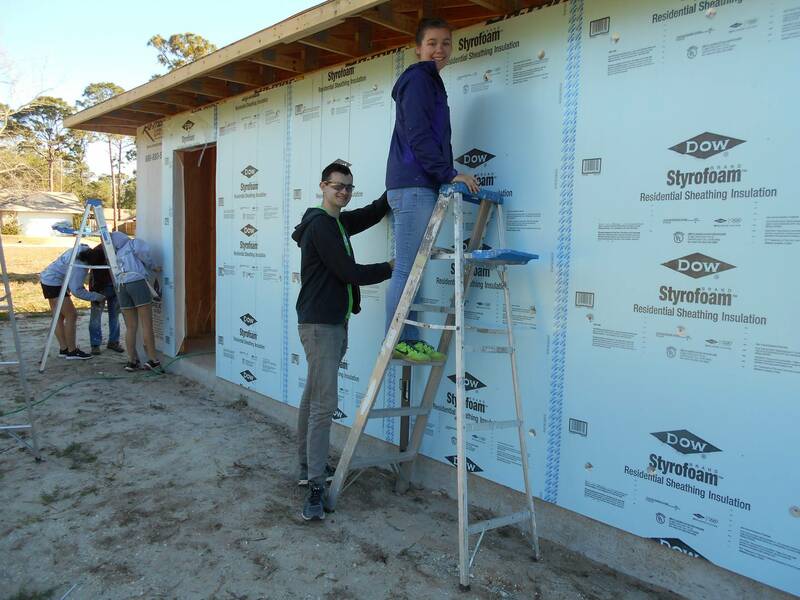 The University of Buffalo joined us for the 3rd week of Spring Collegiate Challenge, bringing 10 students and helping build 4 homes in the Pinehurst subdivision. 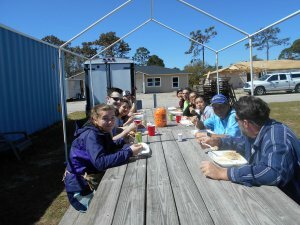 The group, coordinated by Stephanie Parmeter, enjoyed the sun and cool breezes away from snow and ice, enjoying the beach and local places of interest after their days of work. The students are all pre-med, and several of them will shortly be graduating and moving on into medical school. We are grateful that so much was accomplished during their week and we hope the Uni of Buffalo will choose to come here next year. 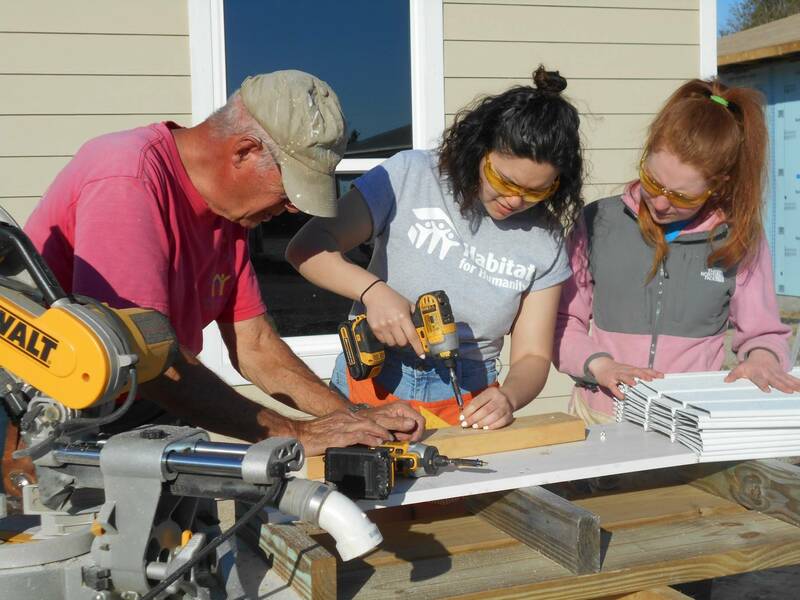 Getting the frame started with Ray Allnutt, Construction Mgr. 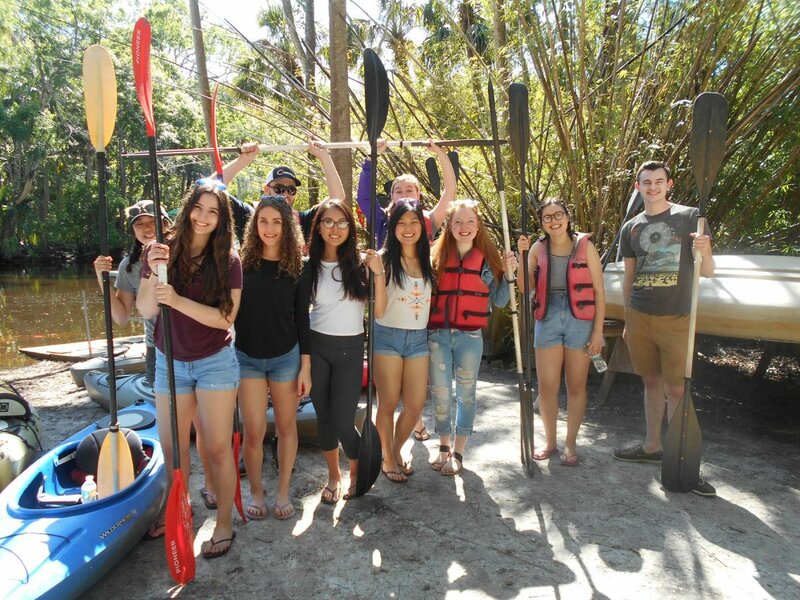 Top: Cracker Creek- ready to go kayaking.